The future is robotic. For years, you’ve heard the predictions. They warned, One day, robots will take your jobs. It’s no longer a far-fetched conspiracy theory or dinner fodder with your slightly unhinged uncle. The World Economic Forum boldly announced that within three years (by the year 2020), five million jobs will be lost to robotics and artificial intelligence (AI). If your job is vulnerable to a robot takeover, you’re decidedly not excited about an AI takeover. However, if you’re interested in a career in the AI field, this news is very exciting indeed. So far, we’ve seen massive growth in AI. 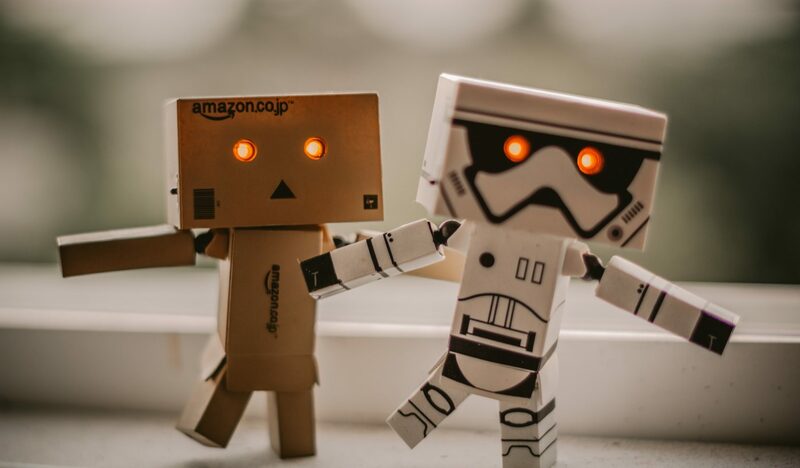 From the mainstream use of personal assistants like Siri and Google Now to predictive analytics algorithms employed by big retailers such as Amazon and Target, AI is becoming an accepted part of everyday life. China is at the forefront of AI innovative, with the Chinese government pledging to invest $15 billion into AI development by next year. For those working in the tech space, the expansion and exploration of AI means more jobs. While experts predict that AI will overtake a third of all current jobs by 2030, it’s also true that AI will create millions more. It’s estimated that 15 million jobs will be created in design, software, engineering, training, and support, and those jobs are hiring now and in the immediate future. What do you need to know to secure your future and succeed in an AI career? To answer this question, we reached out to two top industry experts, Brett Raven, Chief Technology Officer at Big Red Group, and Sam McRoberts, Contributor at Inc. & Entrepreneur. We’ll share their insights below. On preparing his team for the launch of artificial intelligence marketing platform, Albert. “The team spent weeks evaluating AI usage across the eCommerce industry to better understand how Albert may fit in the market. Deeper AI knowledge was achieved, which has started giving rise to other internal AI projects. Robot apocalypse aside, what can we realistically expect from AI within the next few years? Albert has already made a huge impact to keyword research and cost per customer. Will AI like Albert affect those who currently work in the marketing industry? The future is closer than we previously thought. Taking a philosophical turn, McRoberts opined, “To be frank, I think we’re about to enter the next phase in human evolution, one that we control directly. And I believe that’s the only way we can go, if we want to solve the issues we see across the globe. Global warming. War. Poverty. We have many of the same problems today that we had 5,000 years ago, because the human brain evolves slowly, and many of our issues are rooted in our biology. If we don’t take control of our own evolution, and upgrade ourselves, fix some of our inherent flaws, we may not actually survive long enough to evolve past our issues at a natural pace. Whether you’re looking at a job in AI, or you’re hoping to prepare your team to work with this type of technology, the key to success is two-fold: Research and experiment. Because AI is new and ever-evolving, any contribution you make has the power to dramatically impact the industry. Don’t worry about a robot revolution– make sure that you’re leading the charge. Any major change always has pros and cons. While AI is scaling up, futurists say automating routine tasks will improve job satisfaction for 62% of low skilled workers. Workplace injuries are also likely to fall by 11% as robots take over the most physically dangerous jobs. At the same time, the cons are a sense of fear among both white collar and blue collar workers about just how secure their job is. Is your current career susceptible to a robot takeover? Check out this massive study to find out if your job is primed for automation.